Submarine support contract for Canada’s Victoria Class submarines. 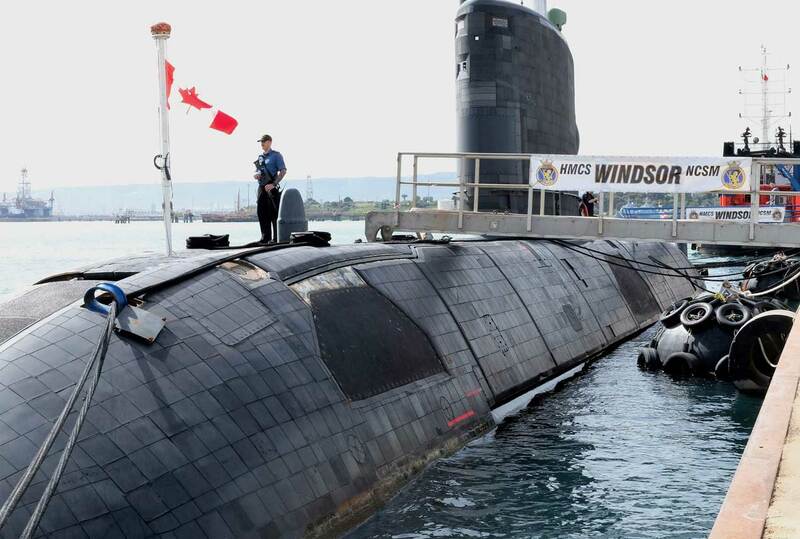 Babcock, has secured a $CAD384 million (£222 million) three-year extension to its existing strategic submarine support contract for Canada’s fleet of four Victoria Class submarines. The original Victoria In-Service Support Contract (VISSC) contract was further extended to June 2021 and will see a team of more than 400 highly experienced Babcock engineers, project managers and specialist support staff continue to support all four submarines in refit and in service. VISSC is the largest naval in service support contract in Canada and includes project management, refits and maintenance, capability upgrades, logistics, configuration/safety records and engineering support. The main contract covers core work and tasking with deep maintenance periods – termed Extended Docking Work Periods (EDWPs), included as required by the submarine operating schedules. Babcock’s experts design, build, manage, operate and maintain assets vital to the delivery of a wide assortment of mission critical services. Babcock Canada is recognised as a leading naval in-service support specialist with the ability to leverage international best practice from a wide range of similar navies and vessels around the world. In December 2014, Babcock Canada handed HMCS Chicoutimi back to the Royal Canadian Navy following a successful EDWP, the first managed by Babcock Canada through the Victoria In-Service Support Contract (VISSC). Chicoutimi has subsequently undertaken a highly successful Trans-Pacific deployment and joint operations with the US and Japanese navies. Babcock is currently undertaking HMCS Corner Brook’s EDWP and is in the planning phase for HMCS Victoria. Since its inception in 2008 Babcock Canada has continued to grow and has now established facilities in Victoria, British Columbia, Halifax, Nova Scotia and Ottawa, Ontario.